What I'll be reading in March 2017. | Almost Amazing Grace. What I'll be reading in March 2017. 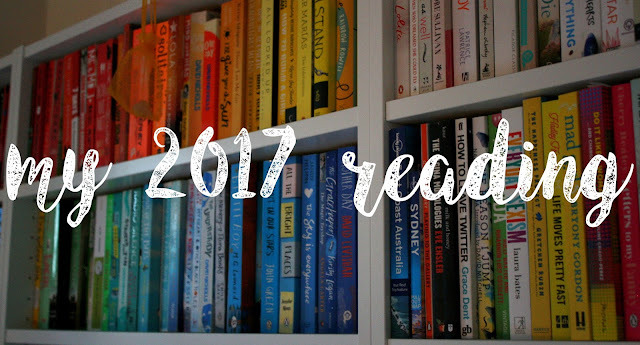 Well hello there, this is the latest in my new sort-of series this year; my monthly reading schedules! That's right, if you don't know already, in 2017 I plan on devoting my reading each month to a specific genre, subject matter, publisher or maybe even author. This is all in an effort to a) get my blogging – and thus, life – more in order, lol wish me luck, and b) get me reading things I've never heard of, or heard of but not tried out yet, or just had sitting on the TBR pile for what feels like forever. Okay, cool. So. What am I reading in March? Well, therein lies an announcement...in case you didn't see it on Twitter, for the whole of this month I will be interning at Walker Books! That's right, in March 2017 I will be learning about (and hopefully helping with rather than hindering, gulp!) all things marketing and publicity at this excellent publisher that I so love – and have loved since I was a wee one getting my picture book fix whenever possible. Also, when this post goes live I will be spending a first week at Walker in editorial, because I'm desperate to know more about that whole area and try out some submission reading, maybe. So yeah, that's bloody exciting, isn't it? Yes, yes it is. And so I thought it would be totally appropriate to make this month's reading specifically Walker. All the things that publisher is doing or has done – picture books, YA, adult fiction, ones they're only just releasing and the ones that have been on my shelves forever now...gimme all of it. I cannot get enough Walker in my life, right now. 'Here I Stand: Stories that Speak for Freedom', by *many many excellent authors*. I received this anthology actual aeons ago, and I am kicking myself for not getting round to reading it sooner. Some authors I truly love have contributed to it (Sarah Crossan, Neil Gaiman, Matt Haig, Liz Kessler), and some authors/creatives I've heard nothing but good things about (John Boyne, Frances Hardinge, Chris Riddell, Elizabeth Laird, Bali Rai), plus many more that I cannot wait to experience. This beautiful hardback was published in aid of Amnesty International. Like, as if the many wonderful authors weren't reason enough to pick up this book, surely knowing your money will go to one of the best possible causes decides it for you! 'Phantom Limbs', by Paula Garner. Otis and Meg were inseparable. Then there was an accident, and Otis lost a brother and a friend. Since it happened, he's become a promising swimmer and is under the watchful eye of drill sergeant Dara who is sure he'd be a high-achieving Olympian. Then Meg comes back. And Otis must face a lot of hidden feelings. 'Hour of the Bees', by Lindsay Eagar. Carol moves to her grandfather's deserted ranch for the summer, and struggles to cope with his worsening dementia and the general hideous heat of the place. She soon realises that bees are following her around. Is she crazy? Or is there something bigger happening here? She needs to get to the bottom of it - and some family truths may be unearthed in the process. 'Truth or Dare', by Non Pratt. You'd think that by now I really don't need to say it...but I'm gonna. Non Pratt is one of my absolute faves. I've read Trouble, Remix, and Unboxed (wrote about the latter in this post), and I loved each of them intensely for many reasons, so yeah, her upcoming release is already giving me tingles. This story is written in dual narrative; Claire and Sef, two unlikely friends who decide to take action when Sef's brother is in serious trouble...by starting up a vlog channel called Truth or Dare. The channel is designed to engage its audience, and get donations. 'Truth or Dare' is published in June, so mark it as a to-read now! I'm aware this list is shorter than those on the other monthly TBR posts, but it's because I am imagining I'll be so darn busy with the work that I won't have as much time to read, this month. Also, I've asked if I can work on picture books a bit at Walker (because I've recently realised I love picture books and the majority of ones I had read to me as a kiddo were from Walker!) which means there may be some picture books sneaking onto my Goodreads shelves throughout March as well...wow, it's gonna be a hectic month. Plus of course, I can only assume there will be top-secret submissions and proofs and all sorts awaiting me when I start interning, right?! So watch this space, and at the end of the month I am sure there will be plenty of unexpected reads in here! * Oh, and if you fancy nabbing yourself a proof copy of Non Pratt's 'Truth or Dare', follow me on Twitter and retweet this right here...!